Nelson: "Fighting for Paradise: A Military History of the Pacific Northwest"
Although largely overlooked in the popular literature, the clash of cultures in the Pacific Northwest* was just as wide ranging and brutal as any the continent has seen. A number of studies exist (mostly older), but this is the first comprehensive treatment that I am aware of that begins with the first white explorers and ends at World War II. Author Kurt Nelson provides the reader with an interesting survey of the various Indian cultures of the region, assessing their relative mobility and warmaking capacity. Incidents are described in chronological order, with detailed attention paid to the U.S./British 'Pig War', the Cayuse War, The Great Outbreak of 1855-1858, the later Indian wars with the Snakes, Modocs, Nez Perces, Bannocks, and "Sheepeaters". The officers taking part in these actions are a who's who of Civil War luminaries (I believe the author counted 17 officers involved that later on became Civil War generals). The Pacific Northwest region also served as a staging area during the Spanish-American War and the two World Wars. Various WW2 Japanese submarine and balloon bomb attacks are described. The Civil War years saw most regular units replaced by Oregon, Washington, and California volunteers. They sought to maintain order in the region and protect emigrant trains utilizing the Oregon Trail. During this period, the most famous (and perhaps most controversial) military campaign was fought by California units under Col. P.E. Connor against the Shoshoni [ I recommend Brigham Madsen's Shoshoni Frontier & Bear River Massacre (Univ. of Utah Press, 1985) for readers interested in reading about Connor's campaign ]. Adding value to his work, Nelson places at the end of each chapter a brief assessment of the current state of preservation of selected historical locations related from the text. Unfortunately, and as many residents already know, many of the most important sites are either inadequately interpreted or completely unmarked. General directions are included as well. The research for this book utilizes predominately secondary sources, categorizing the study as a work of synthesis. In terms of scope, coverage of skirmishes and battles is exhaustive, yet the narrative is concise, with a descriptive depth similar to that found in specialist encyclopedias. With this expectation in mind, the author performs the task quite well. Fighting for Paradise should be regarded as a very useful reference work. Undoubtedly, I will consult it frequently. ---------------------------------------------------------------- * = Perhaps most expansively thought of as an area encompassing present day Washington, Oregon, Idaho, and adjoining parts of California, Montana, Wyoming, and British Columbia. In an interview late last year, Lincoln scholar Michael Burlingame updated us on the progress of his now 4-volume AL biography. The following publishing options were being considered at the time: all four volumes in 2008 or two volumes each in 2007/2008. Obviously, the latter option is unlikely at this point, and I still can find no mention of the set on the Johns Hopkins University Press website [perhaps it's there, but I cannot see it]. This dearth of news is very strange, as Burlingame's magnum opus is highly anticipated and kind of a big deal. Eric's recent post reminded me that my own two year anniversary had passed earlier in the month. On a different note, the counter on CWBA just passed the 100,000 mark. Sure, that "event" is reached in 5 seconds on any of a number of pop culture websites, but I suppose it is somewhat noteworthy for a Civil War blog. -The number of quarterly visits here continues to increase around %50 as compared with the same period from the previous year. However, I get the feeling an equilibrium will be reached sooner rather than later. -While there are some conservative holdouts among prominent university presses, the overwhelming majority of publishers have embraced (or at least warmed to) the idea of having their books reviewed by bloggers. -Civil War novels are everywhere. Of the emails I receive, the greatest number come from authors and publishers of CW fiction. Unfortunately, I have to turn them all down. Life is short, and (for me) non-fiction history is an infinitely more attractive way to spent my limited reading time. -I am very pleased with the current state of Civil War publishing. 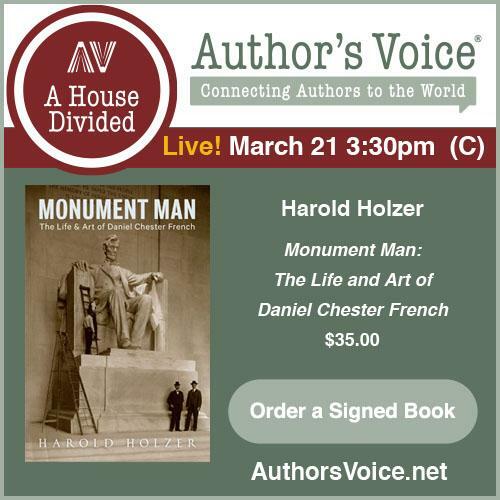 There are more outlets than ever for prospective authors, and readers adventurous enough to invest their own time in the search for interesting books continue to be rewarded. -Proper book packaging is a lost art. It doesn't matter what entity sends it or how much is charged for shipping, a book arriving at my doorstep in truly New condition is a rarity. While review copies are always welcomed, it baffles me (and saddens me as a collector) that publishers are seemingly unconcerned with the first impression their product presents me with as it arrives in an unsightly, mangled condition. The post office is only a small part of the problem, the thing just isn't given a chance. The misused bubble mailer is a curse to book collectors. -While substantial work remains to be done in the areas of cost and quality, I am intrigued by print-on-demand (POD) publishing. The vast majority remains a horrific reinforcement of the vanity press stereotype, but POD is an increasingly viable alternative for those publishing non-commercial monographs. In particular, creditable authors of local Civil War history are experiencing great success with it. Well, that's enough anniversary-inspired-all-over-the-board musing for the time being. I am always striving to improve the content here at CWBA, and I hope you continue to find this site to be a useful resource. Five Trans-Mississippi cavalry books: (Part 5 - Conclusion) "The Fifth Season"
The Fifth Season is the publication of author Mark Scott's 1996 Masters thesis. The first half of the book is a general recounting of the Civil War in Missouri and northern Arkansas up to Colonel Joseph O. Shelby’s “Great Raid” of 1863. Naturally, emphasis is placed on the actions where Shelby himself was present. For this part of the book, Scott relies mainly on older published sources for the overview and many factual errors creep into the text. The well informed reader could skip this entire section and miss little. The second half of the book is a reasonably complete story of Shelby’s 1863 “Great Raid”, an effort that stretched over 41 days and 1500 miles. It is at this point that the book significantly improves. Here, the author makes better use of manuscript and other primary sources and weaves an interesting narrative history of the raid. Shelby and his men rode from the Arkansas River north all the way to the Missouri River before the raiders were forced by converging Federal forces to retrace their steps back to Arkansas. The battle at Marshall, the raid’s most significant fight, was described by the author in some detail. However, a map would have been a helpful tool in gaining a clearer understanding of the natural and man-made terrain features. In addition to the errors in the book’s first half, the presentation is sloppy in places (e.g. cover and spine carry different titles & the author’s brief introduction had at least six typos!) and, while the work is footnoted, no index is included. The maps are inadequate, making it difficult at times to follow closely the actions of raider and pursuer. 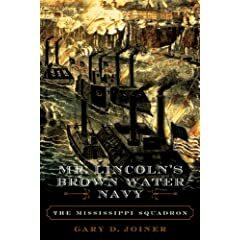 Overall, though, based on the generally well written overview of the title raid, I would give The Fifth Season a lukewarm recommendation for those readers interested in this chapter of the war in the Trans-Mississippi. Five Trans-Mississippi cavalry books: (Part 4) "Gettysburg of the West"
Fred Lee’s eclectic mix of narrative, eyewitness accounts, newspaper articles, and biographical sketches dealing with the Battle of Westport is a treasure trove that has a little bit of everything for everyone. In addition to the text, photographs, maps, and illustrations fill the pages. Gettysburg of the West is not a structured battle study [it's rather haphazardly organized], but anyone with an interest in the raid should not miss adding this volume to the home library. The book begins with an overview by renowned Missouri historian Howard Monnett of the Battle of Westport and the Confederate retreat after the battle*. Continuing on, the battles leading to the action at Westport (Little Blue, Independence, and the Mockbee Farm fight) are described from eyewitness accounts. The next section comprises reports, diary entries, reminiscences, and letters from both military participants and civilian observers. The experience of the wounded and the effects of the battles on local communities are also reported. Biographical sketches and obituaries are included along with an inventory of post-war parks and monuments. A self-guided battlefield tour of the Battle of Independence rounds out the main text of the book. Numerous appendices provide additional information, such as the organization of the opposing armies during and after the Battle of Westport. Another item of particular interest is a catalog of the existing historical markers in the area. The entire text of each marker is reproduced. Additional information on historical sites in the area concludes the book. * = The narrative is drawn from Monnett's pioneering, but now dated, work. While the late author's views are still of value to readers, the history of the raid is badly in need of a modern revisit -- hopefully that is just what we'll get from Kyle Sinisi's long awaited study. Five Trans-Mississippi cavalry books: (Part 3) "Up from Arkansas"
Up From Arkansas is an excellent military history of Marmaduke’s First Missouri Raid (Dec. 31,1862 - Jan 23, 1863). Weaving letters and first-person accounts into the narrative, the author provides an exciting and balanced account of the raid’s battles and skirmishes. The story is told from the perspective of both sides, with John S. Marmaduke, Joseph O. Shelby, and Emmet MacDonald's Confederates facing off against a hastily assembled group of Federal regular forces and Missouri militia defenders under Egbert Brown. Marmaduke's raid commenced from the Arkansas River camps at Lewisburg and ended a month later at Batesville, on the White River. Along the road north from Arkansas to Springfield, Missouri, the column split, and the book briefly describes the skirmishes at Ozark and Ft. Lawrence. Blow by blow accounts of the battles of Springfield and Hartville at regimental level comprise the heart of the narrative. The action is concluded with the raiders’ parole of the Federal prisoners in Missouri and the return to Arkansas. The maps included in Up From Arkansas show only general movements, but two excellent illustrations of the Springfield defenses depict the location and design of the many forts surrounding the town. Appendices explain basic infantry, cavalry, and artillery battlefield tactics, and also provide the reader with orders of battle and detailed casualty lists by company. Though short in length, this volume is long on detail and is highly recommended for those interested in the military aspects of one of the many Trans-Mississippi cavalry raids. Five Trans-Mississippi cavalry books: (Part 2) "October 25th and The Battle of Mine Creek"
Book length accounts of the individual battles of Sterling Price’s 1864 Missouri Raid are few in number and generally unsatisfying, but, fortunately for us, Lumir Buresh’s account of the Battle of Mine Creek is uncommonly good. Fought in Kansas at the tail-end of the raid, Mine Creek was an unmitigated disaster for Price’s Confederates. With the U.S. cavalry's crushing of a numerically superior (albeit scattered) foe, the battle showcased one of the largest and most decisive cavalry charges of the entire war. Buresh’s book begins with a brief overview of the events leading up to the Confederate army’s retreat into Kansas and the battle of Mine Creek. The author’s description of events is superb from the opening shots at the Mounds and the Marais des Cynges to the epic charge at Mine Creek. Detailed maps, including a large pullout map of the Battle of Mine Creek, show all relevant terrain and troop movements and allow the reader to easily follow the swift-moving action. From Mine Creek, Buresh continues his account of the retreat to the Little Osage and the Marmiton rivers, ending with Price’s final movement across the Arkansas River and into Texas. Originally published in 1977, this slightly oversize paperback reprint is a handsome volume replete with maps, charts, and photographs. The author seems to have a special interest in the cavalry tactics of the period and those with a similar interest will be richly rewarded. Painstakingly thorough appendices dealing with troop strengths at Mine Creek, casualties, and cavalry tactics round out this excellent volume. Five Trans-Mississippi cavalry books: (Part 1) "A Severe and Bloody Fight"
A few years back I contributed a number of book snapshots for the Camp Pope Bookshop website [thanks to Camp Pope for permission to reprint these]. With some revisions, I've compiled these brief overviews for a five-part series covering various Trans-Mississippi theater raids, battles, and campaigns involving cavalry. Though varying somewhat in quality, each book is valuable enough at some level to recommend to interested readers. Writers searching for a model of Civil War military history at a local level would do well to emulate A Severe and Bloody Fight. For a brief and relatively obscure episode in Arkansas Civil War history (May-June, 1862, White County), the authors uncovered an impressive array of primary research materials, and assembled their findings into a fascinating account of events centered around the Battle of Whitney’s Lane. However, military events don’t comprise the entire story, with the text also highlighting the invasion’s disruptive social and economic impact on the local populace. The war came to White County soon after the battle of Pea Ridge, when General Curtis transferred his army to northeastern Arkansas in an attempt to capture Little Rock. However, the sparsely populated region could not support the food and forage needs of a large invading army. Near Searcy Landing, a Federal foraging expedition was attacked and defeated at Whitney’s Lane. Curtis, low on supplies and convinced the Confederates were in his front in force, abandoned the campaign. These actions form the basis for the book, the heart of which is an excellent blow by blow account of events at Whitney’s Lane. Photographs, charts, illustrations, letters, and newspaper accounts fill the pages and numerous maps depict the progress of the opposing forces on campaign and during the Battle of Whitney’s Lane. The footnotes are extensive, providing a valuable starting point for further research. Detailed orders of battle and casualty lists are included in the appendices along with additional newspaper reports and an archaeological fieldwork summary. The comprehensiveness is extraordinary and this book is not be missed by those interested in Arkansas history. * = According to the WCHS website, see link above, this book is only temporarily out-of-print. I am not privy to any information as to where the reprinting plans currently stand. Krick: "Civil War Weather in Virginia"
Those who write reference works, even invaluable ones, are a bit of an underappreciated lot. I would imagine most people consider weather to be a decidedly unsexy topic for a Civil War book, regardless of how critical meterological conditions were to the conduct of battles and campaigns. With his latest book, Civil War Weather in Virginia, Robert Krick has performed an immense service to researchers and historians of the war fought within the D.C.-Richmond corridor. As stated in the prologue, Krick's research is indebted to the tireless, thrice per day weather recordings of Rev. C.B. Mackee of Georgetown. Converting the raw data to an easy to read tabular format, Krick created monthly charts detailing the sunrise/sunset times in Richmond and the temperatures in Washington D.C. at 7am-2pm-9pm for each day for the entire war. Other weather related notes (e.g. snow, rain, spring bloom) are added in the margins. Gaps in Mackee's data are filled with recordings compiled from other observers in the region. Opposite each table is one to two pages of quoted text from military and civilian diaries [sourced in the endnotes] that mention the weather conditions for a particular time during that month. Krick also adds his own commentary where appropriate, providing useful context. In his inimitable fashion*, Krick predicts that reviewers will complain that weather readings in Georgetown were not technically "Virginia" weather. It is certainly true that no single reading can be representative of the state (especially a large one with such a varied geography), but the author is most concerned with the aforementioned D.C-Richmond corridor. 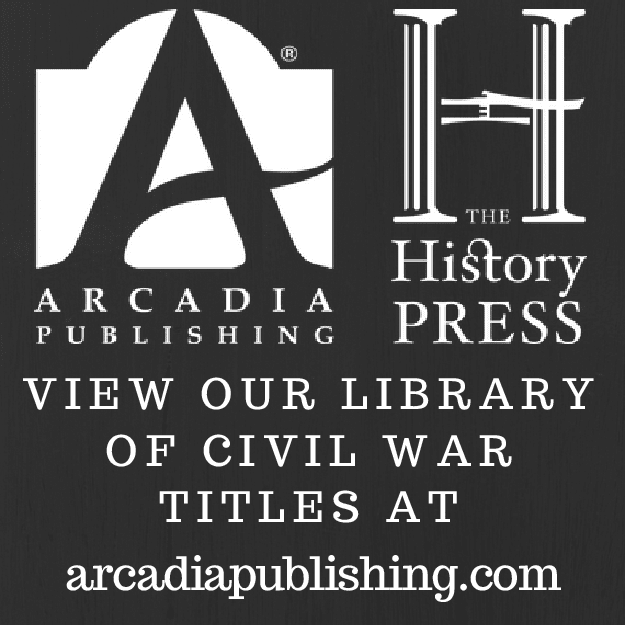 Civil War Weather in Virginia is a unique contribution to the literature and a must-have research reference. From now on, at least for military studies of the main eastern campaigns, it must be found in the bibliography of every thoroughly researched book dealing with the Civil War in Virginia. -----------* = Krick offers an alternative title, a more complete representation of the content of the book, but expressed in the long-winded convention of the Victorian period book title and subtitle: Civil War Weather in Washington, D.C., and in the Virginia Theater of War, Encompassing Virginia and Maryland and Pennsylvania, and Including Weather Affecting Some Military Operations in What Became West Virginia Halfway through the War. Sellmeyer: "Jo Shelby's Iron Brigade"
The popular view of Joseph Orville Shelby has been largely molded by John Newman Edwards's fancifully unreliable Shelby and His Men; or, the War in the West, and the standard biography written almost a century later (now quite dated) by Daniel O'Flaherty, titled General Jo Shelby: Undefeated Rebel . 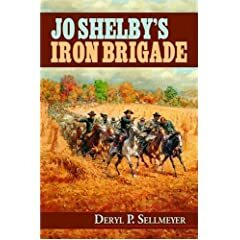 Shelby's Civil War military career has long needed a modern objective treatment, a task attempted by author Deryl Sellmeyer in his new book Jo Shelby's Iron Brigade. In the main, Sellmeyer's study is an organizational and command history of the cavalry brigade's1 role in the various skirmishes, raids, and battles that raged across Missouri and Arkansas2. Sellmeyer's blow by blow account of the military career of Shelby and his brigade is a workmanlike effort, based very heavily on the O.R.3 As such, the narrative does not follow the modern convention of widespread integration into the text of primary accounts gleaned from diaries, journals, or letters. The reader also will not find unit demographic data or detailed biographical sketches of either the brigade officers or the rank and file. What it is is a very thorough account of the brigade's battle history from a top-down perspective. While a variety of primary and secondary sources were consulted (including some manuscript materials), the depth is thin, with many readily available materials -- both published and unpublished -- absent from the bibliography. Use of these sources undoubtedly would have enhanced and enlivened the manuscript. Although photographs are plentiful, the lack of original maps is disappointing, the book's archival reproductions being general and of limited usefulness for a brigade-level unit study. The strength of Sellmeyer's study is in the comprehensiveness of its military coverage. Readers, even those not particularly interested in Shelby's brigade, will find the book a useful general survey of Trans-Mississippi cavalry operations. For the most part, the author maintains an even keel and avoids the hyperbole so clearly attached to prior histories of this unit. Analysis is sparse, but the author does make an excellent point in asserting how difficult a task it is to evaluate the brigade's performance in light of its subordination to an unending string of poor quality superiors at division level and above. Not making brigadier general until early 1864, a full assessment of Shelby's military ability and potential is hampered throughout by his lack of seniority, and a dearth of significant opportunities for independent action. Taking into account the reservations detailed above, I would still recommend Jo Shelby's Iron Brigade to readers of Trans-Mississippi Civil War history. Even with its flaws and omissions, Sellmeyer's book is clearly best history to date of this hard charging cavalry brigade. 1 - The brigade was composed of three Missouri cavalry regiments (5th, 6th, and 12th), with the addition of a mounted battalion (Elliot's) and small battery (Bledsoe/Collins). 2 - As an organized unit, Shelby's brigade saw heavy action at the battles of Newtonia, Cane Hill, and Prairie Grove in 1862. The next year saw extensive raids into Missouri as part of Marmaduke's division and participation in heavy fighting back in Arkansas around Helena and Little Rock. An opportunity for independent action also arose (Shelby's "Great Raid"). In 1864, Shelby fought in the Camden Expedition and the Price Raid. In between, he operated successfully in northeast Arkansas. The post-war sojourn in Mexico is also covered in some detail. 3 - While it would be unfair to say the book's descriptions of the various battles and campaigns are drawn exclusively from the O.R., the reality is not too far from the mark. Mayeux: "Earthen Walls, Iron Men: Fort DeRussy, Louisiana, and the Defense of Red River"
[Earthen Walls, Iron Men: Fort DeRussy, Louisiana, and the Defense of Red River by Steven M. Mayeux (University of Tennessee Press, 2007) Cloth, maps, photos, illustrations, footnotes, bibliography, appendices. Pages total/main=384/282 ISBN: 1-57233-576-9 $45]-----------------------In the wider literature, Fort DeRussy1 is probably best known as the lightly defended fortification stormed by Joe Mower's division in the opening stages of the Red River Campaign. While undoubtedly the most significant event in its history, the Civil War experience of the fort, its defenders, and the nearby civilian population is much deeper and longstanding than that single dramatic episode. Now, for the first time, the complete history of Ft. DeRussy is brought to life in Steven Mayeux's wonderful study Earthen Walls, Iron Men. Centered around DeRussy and its adjoining casemated river battery, a defense in depth was planned for the lower Red River valley, with additional obstructions placed downriver and earthen fortifications constructed along likely land approaches. The fort itself came under direct attack on several occasions. The first incident occurred in February 1863, with the disastrous expedition led by the U.S.N. ram Queen of the West. The Queen was disabled and captured by the defenders of Fort Taylor (DeRussy's progenitor). The opening of the river to Confederate rams then led to the sinking of the ironclad Indianola, events covered in great detail by Mayeux. Unsparing in his criticism of unworthy officers, the author dismisses Queen of the West commander Col. Charles Ellet3 as a reckless incompetent. In May of the same year, the U.S. Navy took another crack at the fort, which was also repulsed. A few days later, a stronger effort was made, but the fort was abandoned before the ironclads arrived. The garrison had withdrawn in the face of General Banks's advance on the Red River town of Alexandria, which outflanked DeRussy. When Banks withdrew from the valley in preparation for his Port Hudson campaign, the Confederates returned to DeRussy and rebuilt the damaged installation. However, little of military significance occurred until March of 1864 and the commencement of the Red River Campaign. Here, A.J. Smith's corps-sized column easily bypassed the outlying Confederate defenses west of Simmesport and stormed the fort, which was sacrificed along with its small garrison in order to allow the bulk of General Walker's division to escape unscathed. With fort and battery destroyed, the DeRussy site was used as a gunboat station and a contraband camp by the Federals. Slavery was effectively destroyed in the area, as previously productive plantations were ransacked and cotton confiscated. Throughout, Mayeux is unsparing in his criticism of David Porter, not for issues of military competence, but rather for the admiral's official prevarications and his all too indiscriminate thirst for prize money. The final chapter brings the fort's history up to the present. Preservation efforts4 directed toward the DeRussy site and the nearby cemetery are briefly discussed. Seven appendices provide additional text and documentation. The first is a chapter length biographical sketch of Lewis Gustave DeRussy, the fort's namesake. Others list useful information such as commanding officers of the fort, casualties, and the names of the slaves who died during construction. The publisher is to be commended for allowing the use of footnotes instead of endnotes (an uncommon luxury for readers these days). Earthen Walls also has an impressive bibliography, grounded in primary sources with extensive manuscript collection consultation. The great array of well chosen maps and illustrations included in the book is another valuable asset. The author assembled a large number of engineer maps, sketches, and illustrations of the fort itself [the one chosen for the jacket cover is a work of art]. Missing, however, are maps of the two-mile long earthwork defenses (anchored by Fort Humbug) in the Yellow Bayou/Bayou des Glaises area, and of the defensive position taken by Walker's division atop the bluffs near Long Bridge. A regimental scale map of Smith's infantry assault on Ft. DeRussy would have been helpful as well. Astutely analyzed, exhaustively researched, well written, and beautifully illustrated, Earthen Walls, Iron Men is an original contribution to the historiography of the Trans-Mississippi theater. It's value as a case study of the Confederacy's use of fortified batteries and obstructions to counteract U.S. naval supremacy on the continent's inland waterways should also be recognized. Very highly recommended. 1 - Well, Louisiana's Ft. DeRussy anyway. Several installations carry the same name, including one perhaps more famous as part of the chain of forts guarding Washington D.C. Earthen Walls's Appendix G covers this. 2 - Specifically, avoiding the double disaster of losing both place and garrison in the face of Federal supremacy in army-navy combined operations. 3 - Amusingly, yet appropriately, Mayeux takes great pains on several occasions to ensure the reader that Ellet's Mississippi Marine Brigade had no relation to the U.S. Marine Corps. 4 - Friends of Fort DeRussy. The Battle of Wilson's Creek has received a good amount of able attention over the years. Ed Bearss wrote an excellent tactical study, The Battle of Wilson's Creek, in the 1960s that has gone through several reprintings and still holds up well today. More recently, Piston and Hatcher expanded our understanding of the battle with their book, Wilson's Creek : The Second Battle of the Civil War and the Men Who Fought It . While inferior to the two previous works mentioned, William Brooksher penned a brief account of the entire campaign titled Bloody Hill: The Civil War Battle of Wilson's Creek . A few other interesting sounding titles scheduled for release over the next few months include two Kentucky-related biographies, one of Stephen Burbridge (link), and a new Jerome Clarke, aka guerrilla Sue Mundy, manuscript. Cox: "The Battle of Natural Bridge, Florida: The Confederate Defense of Tallahassee"
[The Battle of Natural Bridge, Florida: The Confederate Defense of Tallahassee by Dale Cox (Author, 2007). Softcover, photos, 4 maps, footnotes, appendices, rosters, index. Page Total/Main=210/85. 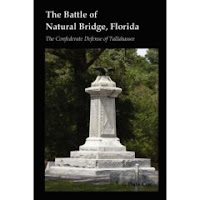 ISBN:978-0-6151-6386-4 $19.95]---------------------With The Battle of Natural Bridge, author Dale Cox's military history of the waning moments of the Civil War in NW Florida comes to a close. September 1864 saw the first large scale incursion into this previously quiescent, yet economically vital, area of the state. In the minds of Confederate planners, the Union raid that culminated in victory at Marianna would undoubtedly encourage further attacks. Thus, a scramble commenced to assemble a serviceable defense of the state capital. These measures proved to be prescient as the Union army and navy were indeed assembling a joint strike force aimed at capturing Tallahassee and liberating the POW camp at Thomasville. While a land force composed mainly of U.S.C.T.s (detachments of the 2nd and 99th infantries) and commanded by General John Newton landed near the lighthouse at the mouth of St. Marks River and headed north, a powerful naval flotilla would clear the water defenses. Unfortunately for Newton, weather, geography, and circumstance ruined the element of surprise, and Confederate Generals Samuel Jones and William Miller were able to assemble a mixed force of militia, home guards, regulars, and university cadets to deter the raid. Initially, Newton was able to brush aside the Confederates at East River, but his command was later turned away from the bridge over the St. Marks at Newport. The next viable crossing was upriver at Natural Bridge, so a force of approximately 500 Federals (all U.S.C.T. units) headed there. Jones and Miller, fully familiar with the area, anticipated the move and immediately set out to thwart it. Before Newton's advance could pass through Natural Bridge, 1,000 men and six guns were waiting for the U.S. forces on the high ground along the west bank. Subject to converging fire, the federal infantry could make no headway in their push to cross the land bridge, and were forced to withdraw after suffering heavy casualties. The supporting naval expedition failed as well. Author Dale Cox does an exceptionally good job describing the battlefield terrain, keying in on the the most militarily important features. Natural Bridge itself is a rather fascinating quirk of geography [the St. Marks River plunges completely underground before reemerging only a short distance beyond, forming the narrow land bridge from which the feature is named]. The author traces in some detail the concave shaped Confederate line of defense, formed along the west bank high ground and dominating the dirt road traversing Natural Bridge. Union positions and movements are treated with a similar degree of attention. As with his previous Marianna study, Cox shows himself to be a skilled constructor of battle narrative, characterized by judicious analysis and the skillful integration of primary accounts into the writing. While it is unfortunate that no bibliography was included for easier reference, the footnotes indicate a broadly researched study, grounded in personal accounts, letters, diaries, and official reports, along with newspapers and government documents. The only real complaint I have with Natural Bridge is not with the content, but with the editing. A few too many typos remained in the final draft manuscript to escape mention. Hopefully, this can be rectified in a future edition. Although I prefer original maps drawn in close collaboration with the author, the historical maps reproduced in the book more than adequately convey a visual representation and reinforcement of the text. The Natural Bridge battlefield map drawn by participant Lt. Col. Barnes of the 1st Florida Reserves is particularly useful. Numerous appendices comprise the second half of Natural Bridge. Unit rosters and casualty lists for both sides are compiled in this section, providing a resource for interested readers and researchers. Dale Cox's informative and well researched study should be considered the standard history of the Natural Bridge raid and battle. 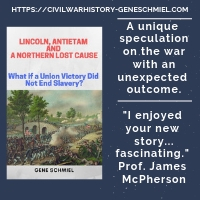 Readers interested in Florida military operations and the Civil War along the Gulf coast will find this volume a welcome addition to their library.---------------------The author's next project is already at an advanced stage. Click on the link provided for more information about the upcoming book The Battle of Massard Prairie: The Confederate Attacks on Fort Smith, Arkansas.